Rupert Pupkin Speaks: Etiquette Pictures - THE AMERICAN DREAMER On Blu-ray/DVD ""
If you're not already following the releases of Etiquette Pictures, you should be. Between the two Blu-ray Discs they've already releases in conjunction with Vinegar Syndrome, Etiquette has made a very interesting mark with their brand of boutique cinema. As with Flicker Alley, I definitely recommend the Etiquette output to fans of the Criterion Collection. I'm inherently a fan of documentaries about filmmakers and filmmaking. If you haven't seen HEARTS OF DARKNESS already you need to check that out as soon as possible. While THE AMERICAN DREAMER is admittedly not in league with that documentary, it is an interesting parallel portrait of another man and another way of going about filmmaking and life in general. 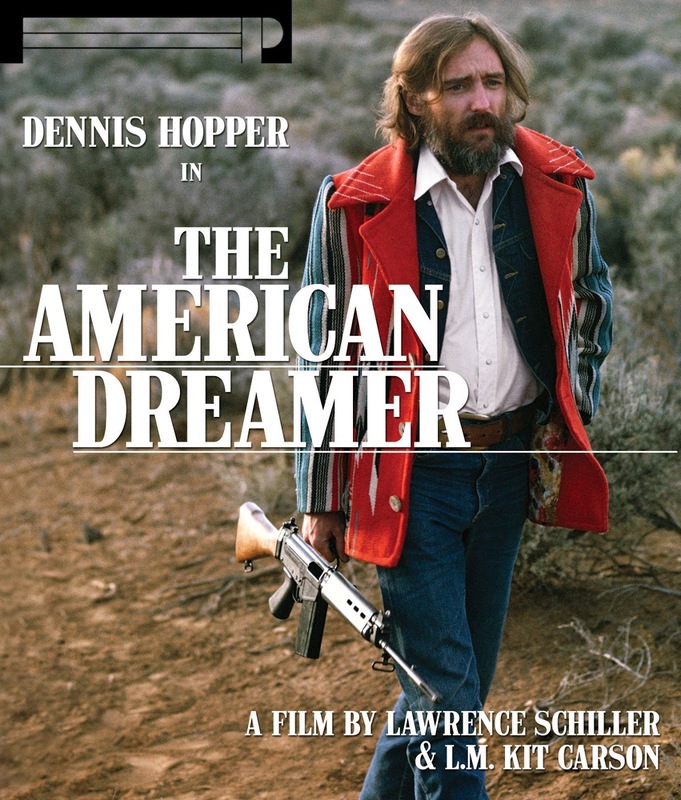 in THE AMERICAN DREAMER, we are treated to a slice of Dennis Hopper's lifestyle and goings-on as he is in the process of making his THE LAST MOVIE. Some might find it tedious perhaps, but I found it pretty fascinating. Not only is it fascinating just to see Hopper's approach to making a movie and to see the way movies were made back in 1971 versus now but also to hear him spout his general life philosophies. He's a very specific dude and of a generation whose values seem progressive if quite dated now. I just respect him on some level for being able to articulate and live out those beliefs and stick to them for the most part. Are some of his resolutions kind of lame? 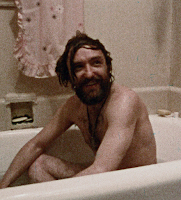 Yeah they are, but it's a snapshot of Hopper in 1971 and he's always been an out of the mainstream kinda gent. It is interesting to see Hopper in the editing room with his editor cutting film with an old Moviola as Hopper discusses how boring the editing process is to him. 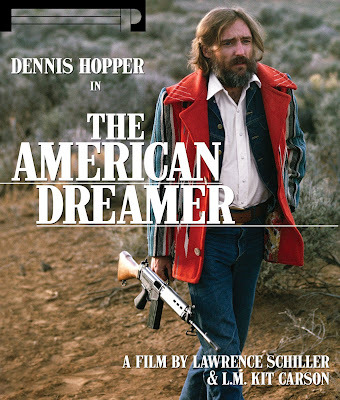 THE AMERICAN DREAMER is a nice mix of those kind of scenes along with some stuff on the set of THE LAST MOVIE as well as lots and lots of candid moments with Hopper alone of in social groups just hanging out. I would watch a movie of regular folks just hanging out in 1971 so this oddball group is even more engaging and interesting. The transfer (as listed below) is a new 2k taken from 16mm prints of the movie. Thus, it has a very textured and grainy feel to it, but this matches perfectly with the kind of movie this is so it looks good.